We’ve reviewed many digital pianos here at BestDigitalPiano.net, and we found some good and some bad ones. The thing is, once you experience so many great ones, it’s hard to lower the standards, and we wouldn’t think about lowering them, because like always, we try to offer honest opinions, and ultimately help you find a musical instrument that you will have a great time playing. Over the years, Yamaha has made some outstanding acoustic and digital pianos. They have an extensive experience and proficiency in this field. It’s difficult to understand why they didn’t tweak this model more, in order to comply with their high standards. 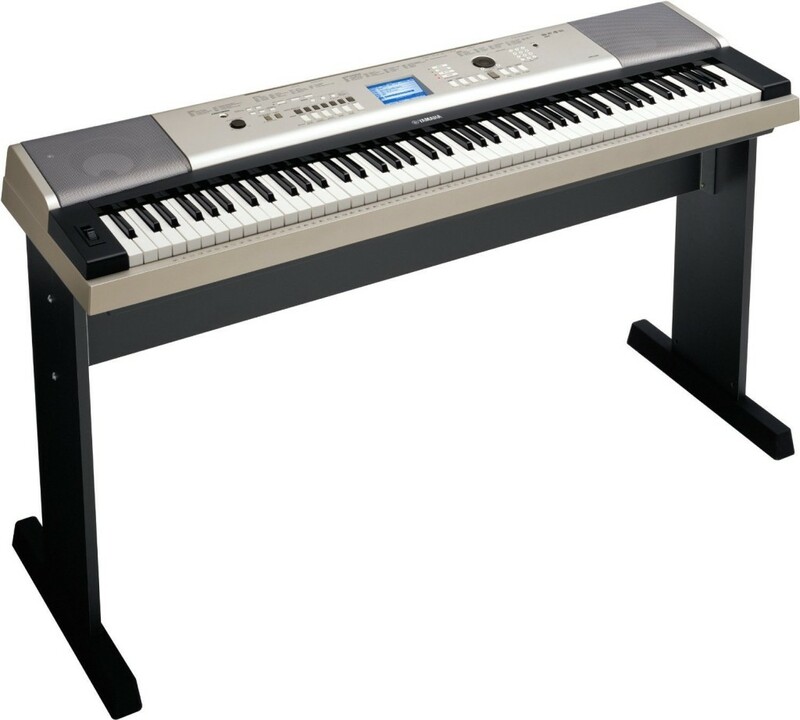 The Yamaha YPG-535 is not necessarily a bad product, but it’s hardly a competition for other digital pianos in its price range. Don’t get this wrong, you can have a lot of fun with this musical instrument regardless if you’re a child or an adult, a beginner or a more experienced pianist. It has multiple voices and it’s extremely portable, but I wouldn’t really recommend this to anyone looking to learn to play the piano properly. The main concern with this model is the keyboard. Although looking like piano keys should, they are more comparable to the keyboards that have 61 or 76 keys. The keys are not weighted, meaning they’re not even close to the real thing. For somebody learning to play the piano, this is not a good thing. If you think that the Yamaha YPG-535 is the right choice for you, click here to see the price on Amazon. It also has advantages. It’s an all around really fun musical instrument. The variety of sounds, drum rhythms, chord arrangement, recording features and other fun features makes for a nice experience. It’s a shame they didn’t fit weighted keys on it. And because of this, we have to honestly say it doesn’t even come close to the real thing. 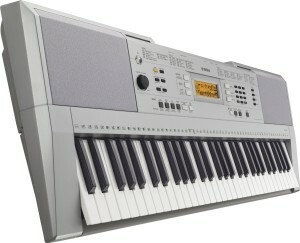 Yamaha calls the key action on the YPG-535 a graded soft touch keyboard, and that is pretty accurate. The white keys are easy to press but the black keys are stiffer, because of the spring mechanism, and that is something that you would probably want to avoid if you’re learning to play the piano and want to develop the right skills. Besides the fact that the keys don’t resemble the real thing at all, the key polyphony memory is as low as 32-notes. This is pretty outdated when you look at other models with 100’s of polyphony notes, but it’s more cost efficient on the production side. Another aspect that we weren’t quite fond of is the minimal dynamic range (changes from mellow to bright in tone). You’ll notice this when trying to get a softer tone to a more resonating one while playing at different finger pressures on the keys. While you progress in your piano journey, in order to get to an intermediate level, you will need more polyphony and good dynamic range. The recommended polyphony in today’s digital pianos starts from a level of 128-notes, like in many Yamaha models. This is an important aspect if you ever want to go beyond the beginner level. You should choose a digital piano that is capable of better resembling an acoustic piano while playing in a grand piano tone. The Yamaha YPG-535 is a fun instrument, regardless of all the weaknesses that could have been avoided. It has a really cool user interface display, good speaker volume, good instrument sounds, fun rhythms, and a USB flash input and output to easily connect it to you computer. If this is all you look for, than this might be an option for you. There is an alternative for this model, though. For a small price difference, you can get everything you need in a digital piano to help you progress from beginner level up to advanced, without the need to purchase a different piano once you’re ready for the next level. A viable alternative would be the Yamaha DGX650. It includes all the features of the YPG-535 and everything it lacks to give you that genuine piano experience. Another model that you might want to check out is the Casio PX350. Both of these models are great and much improved alternatives that you should truly consider.